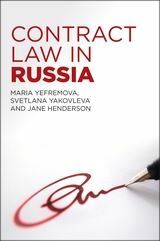 The book explains Russian contract law in a form understandable to lawyers qualified in other countries, especially common law countries. The introduction gives a concise overview of the Russian legal system in general and contract law in particular as well as a brief insight into the history of contract law in Russia. 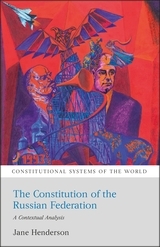 Then the main concepts of Russian contract law are explained, using the conceptual framework of English contract law to make them accessible to someone not familiar with the codified Russian system.The book not only considers the legislation regulating Russian contractual relations but also includes appropriate case law to show how the legislation is interpreted. The focus is on contract law in Russia as it actually operates, rather than merely the legislative texts, so that it will be directly relevant to legal practitioners and others who wish to acquire knowledge of the practical application of an important element of the Russian legal system, as well as those seeking an insight into the realities of codified law in action. The target readership therefore includes legal practitioners who have to deal with Russian law, academics and students with an interest in Russian law, the law of contract and comparative civil law, as well as scholars of comparative legal systems and Russian area studies.